This post is sponsored by Social Insiders and Hormel but all opinions are mine alone. I would imagine for many authors, live readings and events are the best part about writing books. It’s a chance to celebrate the completion of a years-long effort, to interact with enthusiastic fans, or to introduce an audience to one’s writing and photography. I am thrilled to host an event for my author friend Andi Eaton this Friday night as we kick off the holiday season together at one of my favorite local shops in Tulsa--Jenkins & Co. Andi was originally coming to town for the Ryan Adams show as her love Ben plays keys in the band and I thought it would be so fun to throw her a little book celebration. Those dates fell through but she graciously wanted to keep her commitment to coming so we have quite the weekend planned as she tours Tulsa with me and we celebrate her 2nd recently published book Wanderful with a fabulous meet the author event. 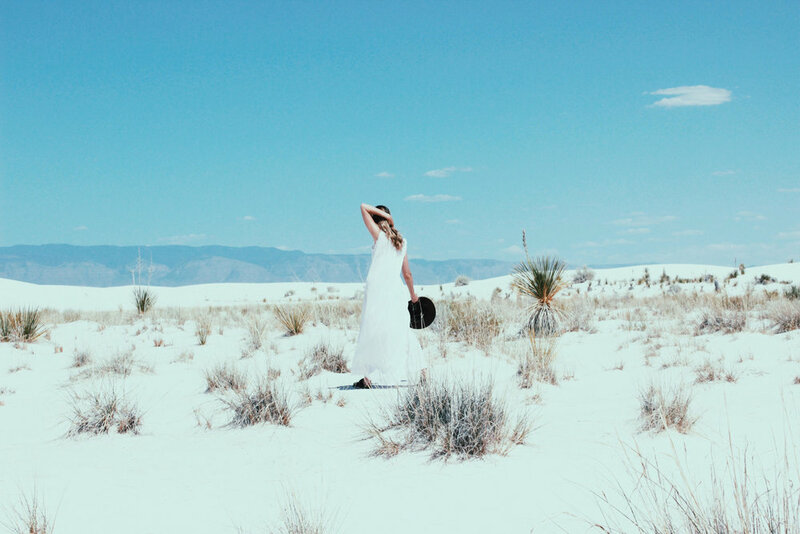 Wanderful is a stylish lookbook and travelogue for the adventurous and nomadic at heart. Follow in Andi's footsteps as she travels the United States to discover some of its most effortlessly chic destinations --and the fashionable free spirits and wanderers who live there . What do the flower children wear on their excursions? Where are the creatives' favorite vintage shops? And where do the musicians go late-night dancing after the last encore ? The dreamer in her wanted more than what a standard travel guide could offer, so she decided to create her own . Wanderful will be available to purchase at Jenkins and Co. and Andi will be signing ! What a great time to stock up on Christmas gifts too. Keeping things way simple with the craziness of the holiday and a hectic schedule and keeping to a budget too. I will be telling you how to elevate a Hormel Gatherings® Party Tray too. Their pre-cut meat and cheese trays are amazing at taking the stress out of the whole food part of the party so you can concentrate on way more important things when it comes to entertaining your guests. The first step was figuring out where the event should take place. The obvious answers are a bookstore as they will lend an air of literary credibility to the event. Local media may be more inclined to cover your book launch if it is tied in with an established bookseller. Plus, you’ll be able to call upon some of that retailer’s promotional resources (event calendars, posters in the store, website, email newsletters, etc.) But, on the flip side, you’re confined to their space, their rules, their timeline. And I am not really a rules kinda gal. You could also rent event space but I certainly did not want to do that on my full time blogging paycheck. As I brainstormed, I wanted to really tie in Andi's travel theme and find a great location where we could really cross promote and of course the place being local was certainly important to me. Synergy is everything. Details matter. I chose Jenkins & Co. and was honored when Lisa Wakefield wanted to host the event. You can read more about the space and Lisa here. I loved featuring her with a Q&A on Go French Yourself. Jenkins & Co. made sense to me because it sits along Route 66. Historic Route 66. Oklahoma is home to the longest drivable stretch of Route 66 in the nation. This 426 mile stretch of the historic Mother Road offers three outstanding museums about the road's history, more than 120 historic signs, and numerous points of interest. Andi needed a celebration on a legendary road! Jenkins & Co. also sells top-quality goods for both home and office with an emphasis on one-of-a-kind, handmade items. If the product is not Made in the USA (as most in the shop are), then it actively promotes the work of artisans in developing countries. Vendor locations range from Honduras to Tokyo to right back home in Tulsa. With nothing quite like it in the area, you're sure to find the perfect treasure or addition to your home. It just really ties in to a traveling theme so beautifully. Lisa also has tons of seating available in the shop and lots of room so that was another plus. We didn't want to have to rent chairs. The location will need to order books too for the event so they are available to purchase. I knew that the books would be something Lisa would want and could easily curate into her already amazing book selection in the store. They wouldn't stand out like a sore thumb if some should be left over. I can see Wanderful being a permanent addition to the book table actually. Andi's publishers Abrams Books made this part so easy and you can just put the author you are hosting in touch with the store owner and they can handle the logistics of this part so there is no pressure on you. So now that you have the location secured and the books have been ordered, it is time to start spreading the word. Sure, you hope your family and friends show up, maybe even a few enemies if it helps make the place look full. But if you can attract media attention for the event, there’s a chance you’ll have the opportunity to earn new readers and fans for the author – fans who will recommend the book to their friends, who will recommend it to their friends, and so on, and so on. So make a face-book invite but make it public and even spend some money sponsoring it. You can customize your ad and get it to reach more people in Tulsa. You can find mine here. The author will send you the invite graphic and any other press release items you may need to promote. Lisa had postcard size fliers made and handed those out to guests in her shop and a few larger posters were made and hung on community bulletin boards at Whole Foods and Starbucks. (Those two are always so great at community) I also compiled a list to Andi of Tulsa people that she should personally reach out to and invite and have a book sent. So work closely with the author you are hosting and do the same. This could be very powerful for the success of the event. I personally think I would prefer a group of very interested supportive fans even if it's a smaller intimate 15 as opposed to a room of 50 people who came just for the free cheese and crackers. So do it right. Invite friends, family, and fans via email, by phone, in person, and over social networks. Remind them of the event in your email newsletter. Create the Facebook event. Tweet and blog about your preparations and what people can expect. Shoot a video invitation and put it on YouTube if you have a channel. Get creative with insta stories too and make sure everyone is promoting, not only you. The author and the store should be doing their own promotions as well all though the author might not have the following in that particular state-they can still be following up with the list they reached out to originally provided by you. Make a list and check it twice to keep organized. You will want to get everything needed ahead of time. You can delegate tasks here too and divide some things up. We decided to keep things simple with a champagne punch. (remember to be cautious of red wine or anything that could stain something in the store) I am a huge fan of punches because you can really stretch your alcohol that way. That part can really add up when hosting an event. Plus they are delish and festive. We also decided to keep the food part simple, especially with our 5-7 time frame. We are going for more of a happy hour and every girl I know is dieting right now anyway. Ha. We decided to do cheese, fruit, and crackers and some cookies. I must brag on these Hormel Gatherings® Party Tray's that I was introduced to. A friend of mine once had these at a game day party. And I loved the idea and the price point is so good! They are located in Walmart's deli section and they have three options. I went with the Supreme options because hello olives!! The tray has HORMEL® Hard Salami, HORMEL® Genoa Salami, Sargento® Pepper Jack Cheese, Sargento® Havarti Cheese, Round Crackers, and Peloponnese Pitted Olives. These ready-to-serve appetizers are life savers and who the heck doesn’t love a good cheese tray?! Plus, it’s already pre-cut and pre-assembled, so less work for you. I have a full day on Friday shooting with Andi so I am thrilled we won't have to spend our time in the kitchen all day. But I do want to show you how to elevate your Hormel Gatherings® Party Tray! You might want people to think you were in the kitchen all day and that's just fine. Presentation is important. I did a little test run last night for a tiny holiday gathering I had and it was a total hit. Place all the contents of your party tray onto a beautiful platter of your own. This will instantly elevate things. And then add some things. Some of my faves are dried fruit like cranberries. I also love to add dates and a variety of nuts and you can even add some grapes and apples. Add some honey too. And some dark chocolate. How easy is that?! Your guests will so enjoy everything on the tray. And I doubt you will have anything leftover. Don't forget to grab festive paper plates and cocktail napkins and some beverage glasses. I am so looking forward to this. If you are local, please come join us. And look out for a future post on all the details and pictures from the event.